If you have a significant debt or tax arrearage, you may be considering a personal bankruptcy filing as a way of ridding yourself of the debt. You may be uncertain as to what the limitations are and how the process works under the new Bankruptcy Act, or even whether income taxes can be discharged through bankruptcy. At the law offices of Setareh Mahmoodi, P.S., we have several years of experience representing residents of King and Snohomish counties in the Puget Sound area. We handle all matters related to personal bankruptcy, including filings under Chapter 7 and under Chapter 13, and will help you free yourself of debt, even tax debt. We have a thorough understanding of how the bankruptcy laws apply to these situations and will guide you sympathetically through the process. Contact our offices to schedule a low-cost initial consultation. Under the new bankruptcy laws, enacted in 2005, you must pass a “means” test in order to file under Chapter 7, which allows you to completely discharge most types of debt. If you fail the means test, your primary option is a Chapter 13 filing, which requires you to repay your creditors to the best of your ability over 60 months. With respect to tax obligations, the bankruptcy laws generally allow the discharge of income taxes that are more than three years old, or that have been assessed within two years of filing. 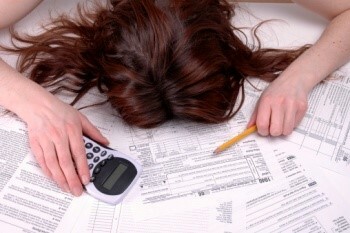 However, personal liability for employment taxes and other “trust fund” taxes cannot be discharged through bankruptcy. Because we have worked extensively with individuals who have disputes with the Internal Revenue Service, we have a thorough understanding of the rules governing discharge of debts, including tax debts under the new Bankruptcy Code. Since the start of our representation of consumers in bankruptcy proceedings, our firm has handled literally hundreds of personal bankruptcies. Most of the clients we represent in bankruptcy proceedings are hardworking and responsible people who have run into a string of bad luck such as a lost job, a divorce or an unexpected medical bill. A Chapter 7 or Chapter 13 filing can help get rid of these, but it is important that you understand the differences between them and intelligently select the best solution for you. If you want an attorney with extensive experience handling personal bankruptcy matters, our office will give you creative, aggressive and highly competent solutions to your legal problems in a caring environment. We provide a low-cost initial consultation to all prospective clients, and Saturday appointments are available upon request.